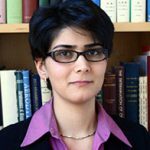 Dr. Ardekani is currently an assistant professor at the Purdue University. Her expertise is in fluid mechanics, biological and environmental flows. The results of her research have been presented in 130 journal articles and conferences. Prior to joining Purdue, she was an O’Hara, C.S.C., Assistant Professor at the University of Notre Dame and a Shapiro Postdoctoral Fellow at the Massachusetts Institute of Technology before that. She graduated from University of California Irvine with her Ph.D. in 2009. She received the Society of Women Engineers in 2007, Amelia Earhart awards in 2007 and 2008, Schlumberger Foundation faculty for the future grant in 2009 and 2010, NSF CAREER award in 2012, and Presidential Early Career Awards for Scientists and Engineers (PECASE) award in 2016.